Forty two cruise calls to Seydisfjordur, Iceland in 2017 will grow to 60 this year, with 70 to 80 expected by 2019, according to Adalheidur Borgthorsdottir, marketing manager for the port. “The nature and the fjord itself attracts a lot of ships along with a broad selection of unique nature-based excursions,” Borgthorsdottir added. Local officials are taking a proactive approach to the strong growth, working with other ports in east Iceland on development and supporting an educational program for local guides. The port presents itself as the entrance to east Iceland, with a deep-water and calm fjord that is the “first stop” when sailing from the Faroe Islands, Norway or England. “We are the homeport of the Norrona, the only car and passenger ferry that sails between Iceland and continental Europe, which means that we have a customs officer in town available every day and well-trained staff; so we are small but capable,” she said. 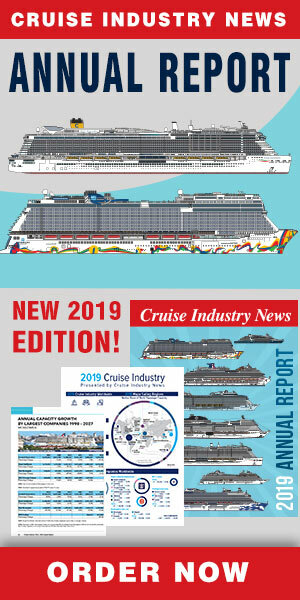 The town itself only has 660 residents, but is seeing more cruise calls as plans are on the table to enlarge the main berth by 60 meters, to 230 meters in length. New public restrooms are also slated to open in the center of town by 2019. Other renovations are talking place to a walking path that is popular with cruise passengers, leading to a waterfall. “As you can imagine, big ships are a challenge to our port. We welcome all ships but are not able to service the big ships as well as we would like to,” added Borgthorsdottir.